0.1°C; 0.1% R.H/±2.5°C; ±3.5% R.H.
walk in environmental temperature humidity chamber used to test various types of materials for their tolerances of heat, cold, dry, humidity. 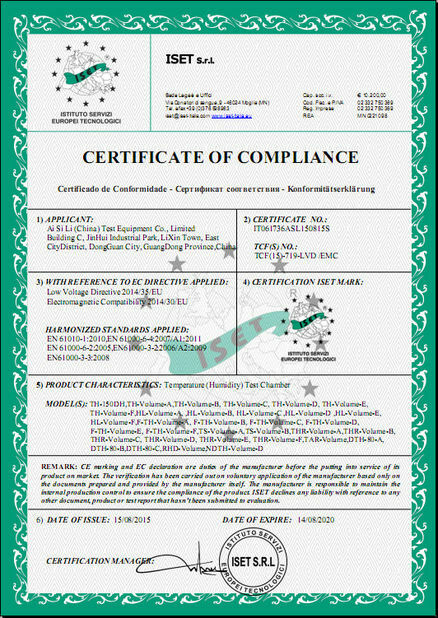 It is applied for for all types of electronic products,electric appliance, and products from communication, instrument, automobile, plastic, metal, food, chemical,building materials, medical and aerospace industries. 1. Graceful appearance, circularly shaped body for , surface treated with mist strips and plane handle with no reaction. 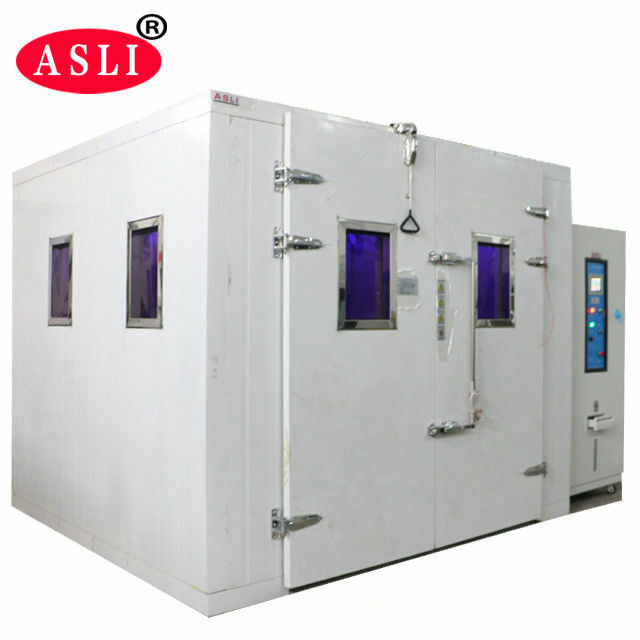 Our temperature humdity climatic chamber is easy to operate, safe and reliable. 2. 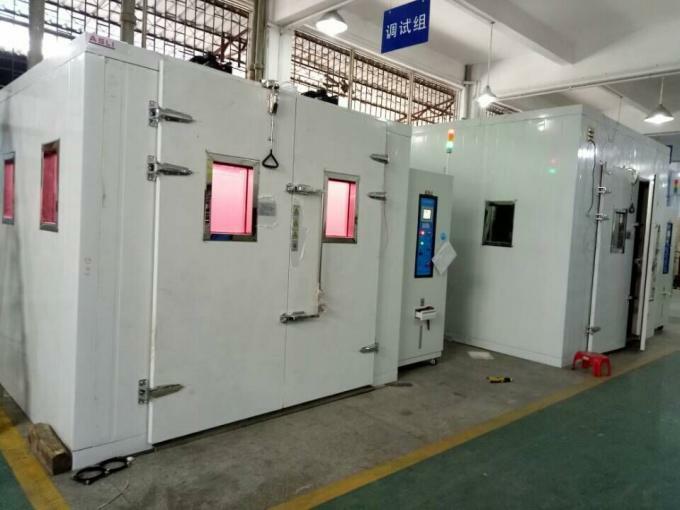 Rectangular double-glassed watching window for the observation of the test production during the testing process.The window is equipped with sweat-proof electrical heating device that can prevent water steam from condensing into droplets, and with high brightness PL fluorescent bulbs to provide light inside the box. 5. The French Tecumseh brand is used for the circulation system of the compressor, capable of removing the lubricant between the condensation pipes and capillaries. 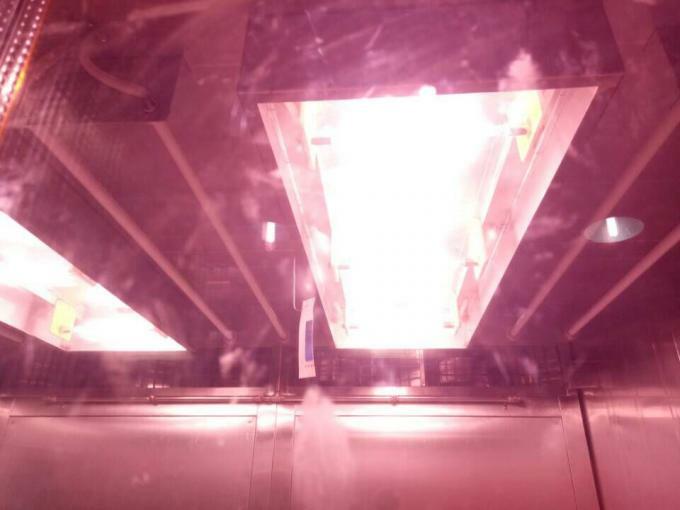 The environment protecting coolant is used for the whole series (R23, R404A). 6. 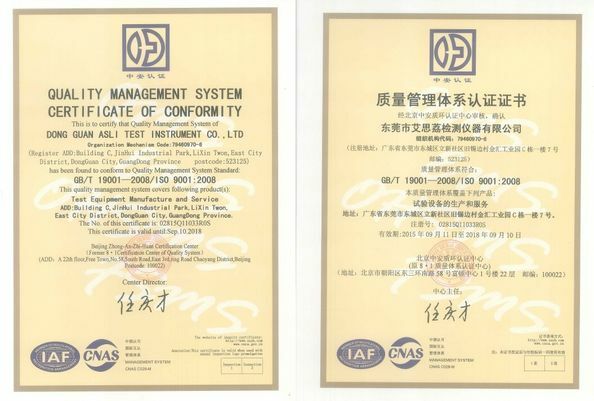 Imported LCD display screen, capable of displaying the measured value as well as the set value and time. 7. 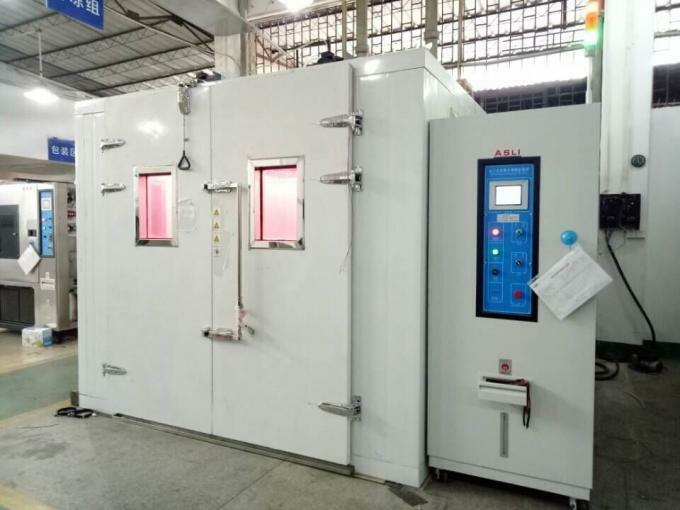 The controller of environmental chamber has the functions of multiples segment program editing, and of quick or slope control of temperature and humidity.